The following seven executives have been appointed to head the final judging committees that will determine the Gold, Silver, and Bronze Stevie® Award winners in the 2014 Stevie® Awards for Sales & Customer Service. (All the category groups can be viewed in more detail here.) The winners will be announced at the awards gala on Friday, February 21 at the Bellagio in Las Vegas, Nevada. Becky Johns, Vice President of MarketBridge in Bethesda, Maryland, USA, is Chair of the Final Judging Committee for the Sales Achievement and Sales Individual categories. Becky Johns works with clients to improve marketing and sales productivity by developing and executing integrated data-driven marketing and sales strategies. At MarketBridge, a global provider of digital marketing, sales enablement, and customer analytics solutions, her experience centers primarily on building brand loyalty through customer acquisition, engagement and retention programs and developing online and social media communities. 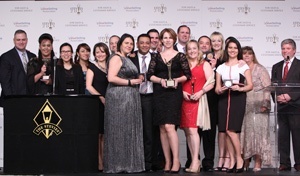 Becky recently led her MarketBridge teams to win back-to-back Gold Stevie Awards for Sales Training Program of the Year in the 2012 and 2013 Stevie® Awards for Sales & Customer Service Awards, as well as a Silver Stevie for Brand Experience of the Year in The 2013 American Business Award. George Orr, Vice President of Client Services at kCura in Chicago, Illinois, USA, is Chair of the Customer Service & Contact Center Achievement Final Judging Committee. George Orr is vice president of client services at kCura, a developer of web-based e-discovery applications for managing large volumes of electronic evidence during litigation or investigations. A member of the kCura team since 2007, George’s department is responsible for much of the company’s client-facing activity. Over the past few years, George has helped the team’s processes evolve from “brute-force problem-solving” to a set of polished procedures that ensures a positive customer experience every time. Prior to taking the reins of kCura’s client services department, George worked as the messaging systems manager for Rotary International, a Chicago-based non-profit organization specializing in humanitarian funding programs. George is a graduate of the University of Illinois at Chicago. In addition to being a Relativity Certified Administrator, George also has extensive Microsoft and infrastructure training and is certified in both arenas. Mike Ortegon, Director of Global Sales Operations at HomeAway.com in Austin, Texas, USA, Chairs the Final Judging Committee for the Sales Team and Sales Department categories. 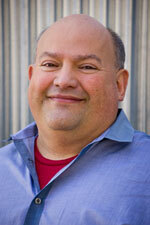 Mike Ortegon joined HomeAway in March 2012. As the Director of Global Sales Operations, he is responsible for supporting sales leaders across the globe to help them make well-informed business decisions and to run effective and efficient teams while aligning to corporate strategy. Throughout his career, Mike has been in management, operational, sales, and marketing roles in North America, EMEA, Latin America, and APAC. Sanjeev Garg, Global Head of Customer Care, Commercial Vehicles Business Unit at TATA Motors in Mumbai, India, is Chair of our Customer Service & Contact Center Individual Final Judging Committee. Sanjeev Garg has been the Global Head of Customer Care for the Commercial Vehicle Business Unit of Tata Motors since December 2011. His customer care group is spread across four continents and supports more than 3 million Tata Motors vehicles through 2,300-plus service touch points and over 33,000 retail networks of spare parts. 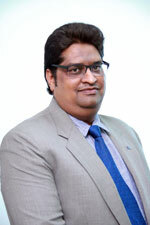 In 1996, Sanjeev joined General Motors Ltd and was instrumental in launching new initiatives for the customer satisfaction index and new Competitive Intelligence processes. His work at GM encompassed global geographies including South East Asia, the Middle East, Latin America, and the South Asian Association for Regional Cooperation (SAARC). Under his leadership, GM was ranked No. 1 in customer satisfaction in the Middle East, ahead of Toyota, Honda, and Nissan. 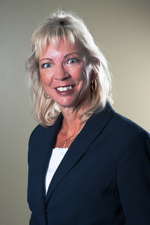 The Chair of our Customer Service Department Final Judging Committee is Kelly Thomas, Assistant Vice President, Client Relations at OppenheimerFunds, Inc., in Englewood, Colorado, USA. Kelly Thomas began working with OppenheimerFunds 29 years ago and currently is assistant vice president of Client Relations at its Denver Campus. Her leadership philosophy is to act with integrity and pursue excellence. She believes a leader should be able to take risks, to challenge the status quo, to inspire others, and to create a healthy work environment that will encourage and foster team collaboration. In addition to her leadership role within OppenheimerFunds, Kelly serves as the president of the City of Centennial Chapter for the National Association of Professional Women. Ben Herkenhoff, Customer Interaction Center Manager at Outsell, LLC in Minneapolis, Minnesota, USA, Chairs our Customer Service & Contact Center Team Final Judging Committee. Ben Herkenhoff has been the manager of the Customer Interaction Center at Outsell for the past two years. Outsell LLC is a digital marketing Software-as-a-Service (SaaS) company that is transforming the way brands engage with consumers. Its Digital Engagement Platform offers clients the ability to consistently engage with consumers across distributed sales networks from the national to local level. Ben’s team at Outsell won the Stevie® Award for Contact Center of the Year in the 2013 Stevie® Awards for Sales & Customer Service. Ben tells us he is “excited to get started” on the final judging, and has worked hard to put together a great committee. Ansa Sekharan is senior vice president of Global Customer Support at Informatica Corporation, an independent provider of data integration software and data masking technology. He is responsible for establishing Informatica as a trusted partner for customers worldwide by ensuring their success with Informatica's products. 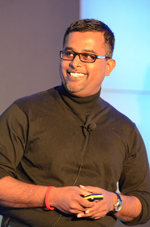 Ansa has a very busy schedule, dividing his time between Redwood City, California and Bangalore, India, as well as other global Informatica locations.